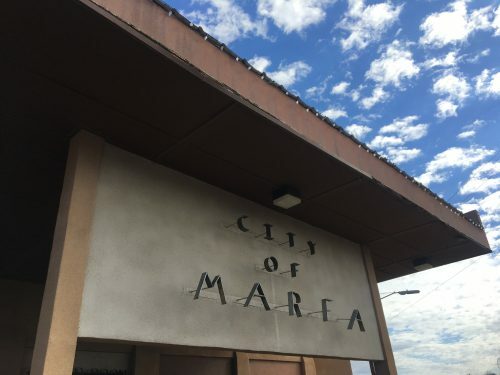 Marfa’s City Council approved 4 out of 9 proposed changes to the city’s zoning map on Thursday evening. The votes took place during a regular council meeting, following the second of two joint public hearings co-hosted by the Planning and Zoning Commission. The availability of affordable housing played a role in some of the council’s decisions. Marfa’s City Council approved items C, D, F and H in the document below. Council members rejected or failed to move on several of the proposed changes to the map that were made at the request of property owners, including a group of lots just south of the Presidio County Courthouse owned by Big Bend Title Company, as well as a block of S. Dean on which the owner intended to open a hostel. In part, the Planning and Zoning Commission has been looking at ways to create more housing within the city limits. But Council member Buck Johnston urged them to consider how they can increase the city’s stock of affordable housing. “We need workforce housing and we don’t have it,” Johnston said. The council member initially fought back against a request from Debbie Sproul-Parrott to have one of her properties rezoned from single-family residential to multi-family residential. Sproul-Parrott said she got a permit from the city over a decade ago that allowed her to rent her properties as duplexes, but the current zoning map doesn’t reflect that. “I’ve had them for 10 years, and I do have a buyer on the table. But we cannot finish [the deal] until it is rezoned multi-family like it should have been in the first place,” she said. Johnston commended Sproul-Parrott for renting her properties at an affordable rate but expressed concern that, should the property be rezoned, there would be no safeguard in place to keep the new owner from renting out the units at a higher price, or as short-term rentals on Airbnb. Johnston argued that moving forward, the city could use zoning rules to negotiate with property owners who lease houses — and incentivize them to rent out a percentage at an affordable rate. City Attorney Teresa Todd voiced support for Sproul-Parrott’s request. Johnston eventually conceded on the grounds that the city was at fault for Sproul-Parrott’s incorrectly-zoned property. Council passed the request. Ultimately, all of the changes that were approved Thursday night reflect how properties are already being used. The council voted to re-zone the housing authority apartment blocks on the north and south sides of town. Both properties are currently classified as single family residential, even though they house multiple families. Several blocks along West Highway 90 zoned as single family residential that are predominantly being used for commercial space were also approved for an update. This entry was posted in KRTS News and tagged Marfa City Council, marfa planning and zoning commission, marfa zoning map. Bookmark the permalink.